I was about to swatch Color Club Beyond when I realized that I never shared Harp On It on my blog, and realized they would pair very well. Here they are swatched together, with a bit of nail art! I'm wearing these polishes without any base or top coat, so you can see how they have a smooth finish and nice shine all on their own. Harp On It is Color Club's silver linear holographic polish from their first Halo Hues collection. It took 2 coats for opacity, but the formula is very good. So long as you keep your brush movements gentle and wait a little while in between coats you won't have any issues with dragging. Beyond, the linear black holo, is fantastic. I can't say enough good things about this polish! I only needed 1 coat and it was totally opaque! The formula is super-smooth and the rainbow effect is very strong. I definitely recommend this polish if you're hunting for the ever-elusive perfect black holo, and don't want to spend a fortune. The lightning bolt accent nail makes me feel like my nails should be super-powered, haha. My husband liked it and it was really easy to do! All you need is a bit of tape and a pair of scissors. First, start with your completely-dry base color. This is important, otherwise your polish could be pulled off by your tape. 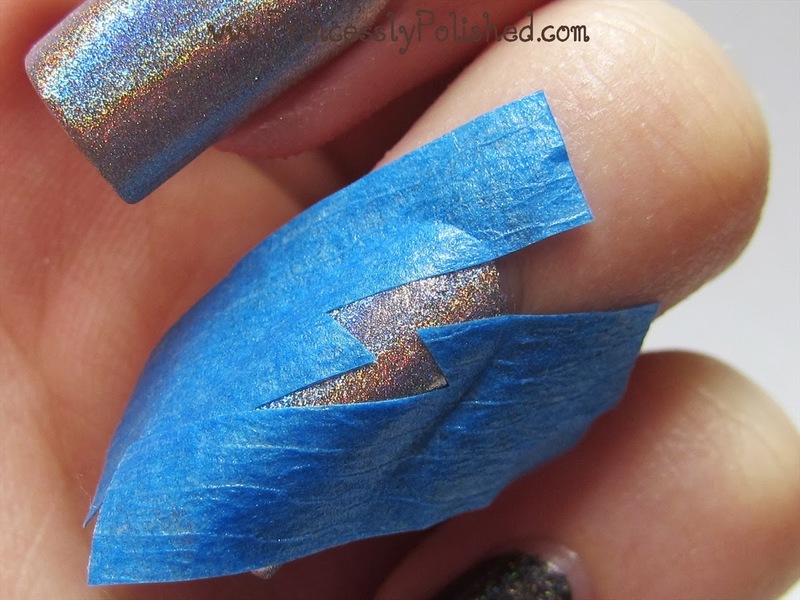 Cut a zigzag into a piece of tape and place each piece on your nail to create your desired bolt shape. 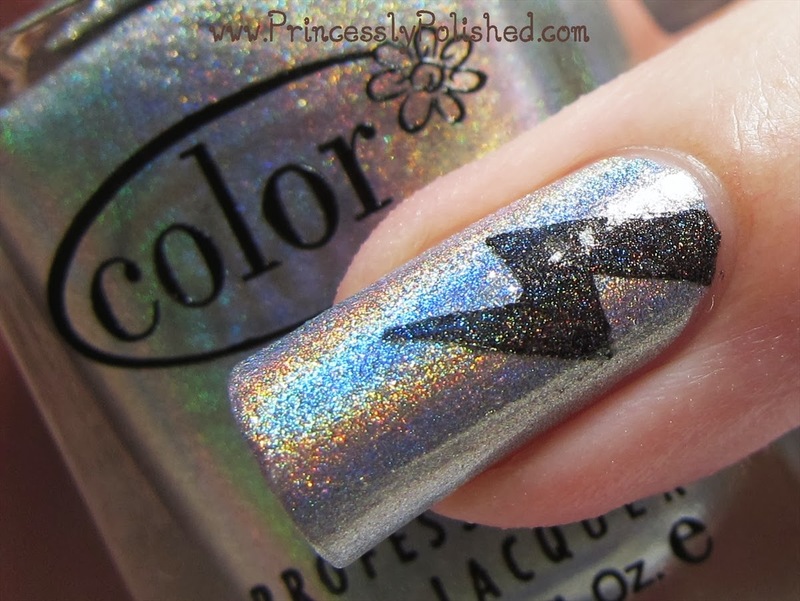 Make sure the edges are smoothed down so no polish will seep under. I'm using painter's tape. Paint the open area, and quickly but gently peel the tape off before your polish dries. That's it! Enjoy your snazzy nail design!